Along a road that looped around and returned to itself, a small settlement of diverse houses seemingly held hands in a grand circularity which formed overlapping land boundaries and lasting family friendships. Soon after she fugaciously moved into the tight-knit neighborhood, Mrs. Donahue made a permanent impression with her cozy disposition, perfectly manicured property and the tendency to share delectable creations she recurrently cooked. Thank You so much for your kind words. I greatly appreciate it. Thank You so very much. I really appreciate it. What great neighbours! My parents have always taught me that, “Who you get along with is your family!” This post provides proof towards that sentiment. The mailboxes are precious. As much as I enjoy the spooky suspenseful story for its anticipation, the posts that bring a smile on my face are great to start the weekend! Thank you! You are very kind Anjali. I deeply appreciate your thoughtful words, Thank You so much. I honestly appreciate that. Thank You so very much. I think you could write a novel… just my instinct.. Your kindness is palpable. Thank You so very much Katherine. Thank you, Thank you & Thank you. Hahaha – love it! I have a small collection of post box pictures myself. There is a story there. 🙂 Merry Christmas! 2) You always (often) “make” me look up a word. You are beyond kind and I have great appreciation for your wonderful words. Thank You. Great story. Thanks for liking so many of my posts. Merry Christmas. 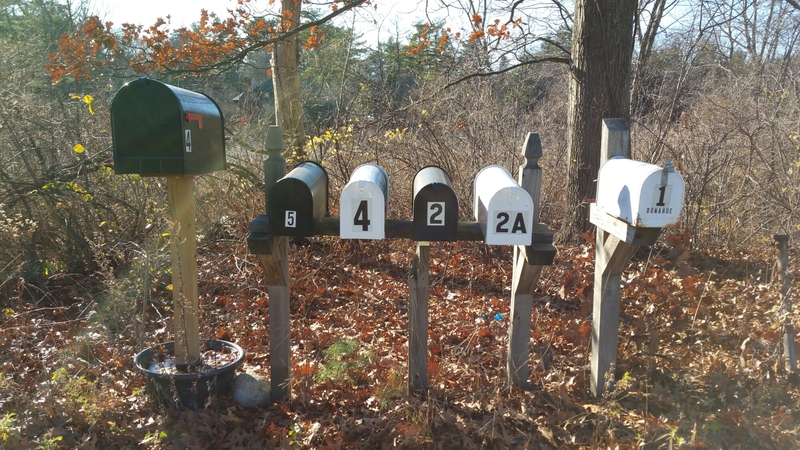 Any idea why there are two #4 mailboxes in your picture? Thank You so much, I appreciate it. Also, very observant Dennis.